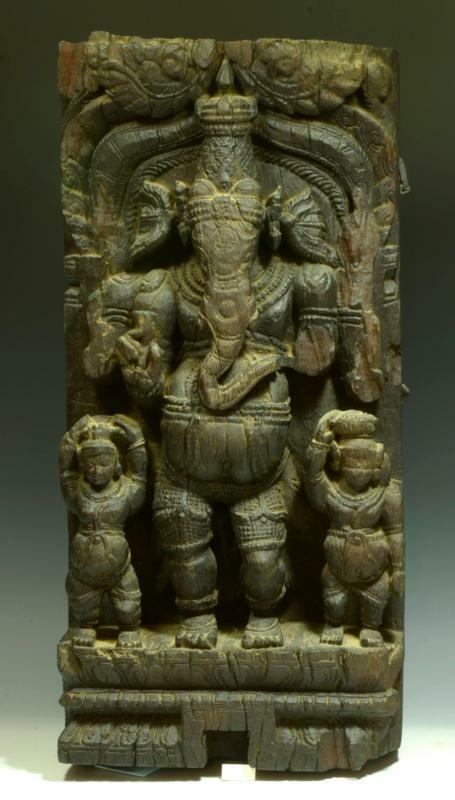 A sweet devotional image of the beloved elephant headed God standing in an architectural framework with two arms raised (two arms now gone) wearing a crown. Two small attendants on either side. A shrine image, probably an architectural element originally. Size: 22" H x 10 1/2" W x 5" D.
Provenance: Beverly, Massachusetts Private Collection.